Inspired by design and craftsmanship. Driven by inspiring others to create the places and spaces of their dreams. A collaboration of vendors and artists offering custom woodworking and interior design services for every budget and style. Antique buffet restored and converted into a vanity, by Craig. Light and breezy with French Provincial Accents. Decor courtesy of Caveman&Pip. Fresh Eggs sign and small greens pot by Three French Hens. Photograph by Charming Moments Photography. Designed and styled by Carol Schaub. Design consulting by Nicolette, on this gorgeous kitchen remodel. The right side of the galley is a re-purposed 1900s bar, made into cabinets. The tile floors are a show stopper! Rustic, Old World and Elegant pieces create a cozy space. Decor by Caveman&Pip Retail. Groceries sign and cookbook stand Three French Hens, jars and bottles with greens Reclaim Essentials, Lighting Pinetree Lighting, Lake Orion MI, Antique scale Carterhouse Primitives Designed and styled by Nicolette. Decor by Caveman&Pip. Antique dresser refinished by Craig. Primitive tray by Carter House Primitives. Designed and styled by Nicolette. Interior painting by Craig. Gorgeous rustic industrial design with antique beam posts and pipe, by Craig. In store display: Beautifully refinished antique buffet featured with authentic farmhouse crates, barrels, jars, architectural salvage and custom handmade signs. 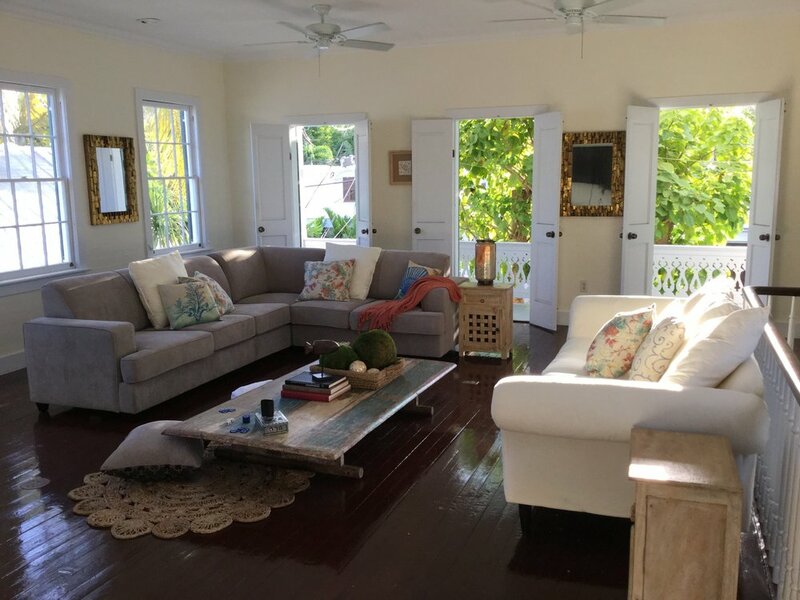 Historic home in Old Town Key West Designed and styled by Nicolette. Interior paint by Craig. This is the kind of place you never want to leave! Rustic bar designed and built by Craig! Stunning! GORGEOUS card catalog style entertainment center, designed by Craig and Nicolette and built by Craig. The card catalog style drawers are faux and open into several large functional drawers and cupboards. Decorative top grate piece by “Little Red’s Big Signs”. Custom built-in entertainment center by Craig. Crown molding by Classic Woodworks of Michigan. 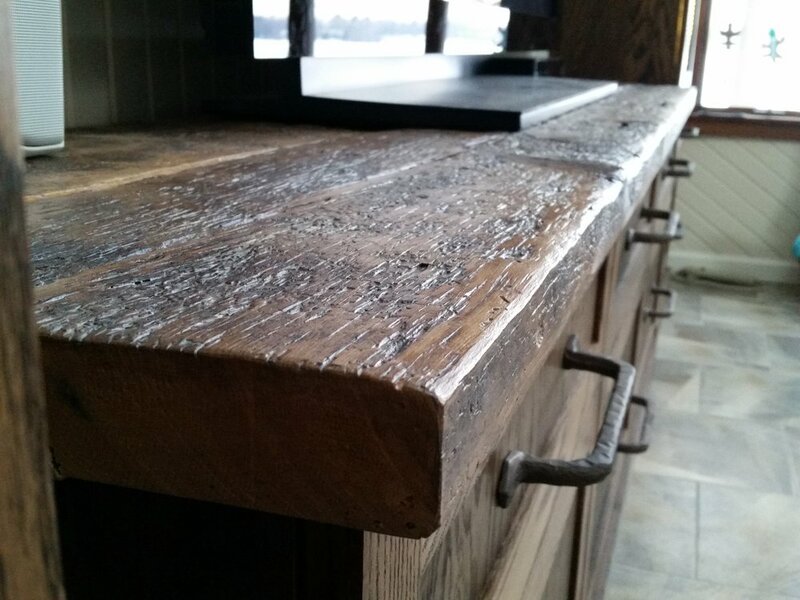 This kitchen Island was custom designed and built by Craig. Craig used an antique table based provided by the customer, used barn wood to build the counter top and added feet to increase the height. Feet were custom color matched. Gorgeous barn wood table top built by Craig on top of an antique base. Custom ordered signed designed and hand-carved by Craig. Antique vanity restoration by Craig. Custom ordered chicken crate upcycled into a cute rustic coffee table built by Craig. Craig created a barn wood feature wall above the vanity where there was once an outdated glass block wall. Designed by Nicolette. Photograph by Charming Moments Photography. Gorgeous Rustic set built by Craig. Gorgeous antique hutch custom painted by Craig. Antique trunk restoration by Craig. Custom ordered sign painted by Nicolette framing by Craig. Custom designed, built and finished built-in entertainment center by Craig. Crown molding by Classic Woodworks of Michigan. Custom painted dresser by Craig. Barn wood toy chest hand made by Craig. Custom ordered sign designed and painted by Nicolette with framing by Craig. Decor courtesy of Caveman&Pip. Antiques sign Cottage Designs. COFFEE and BAKERY sign Reclaim Essentials. Canisters Carterhouse Primitives. Custom Barn wood wall by Craig . Designed and styled by Nicolette. Photograph by Charming Moments Photography. In store display featuring awesome floating shelves and decor from "Carter House Primitives", "Reclaim Essentials", "Three French Hens" and "Because Nice Matters". Rustic coastal living room designed and styled by Nicolette. Custom shelves by Craig. Rustic dining table designed and built by Craig. Custom painted kitchen and custom shelves by Craig. 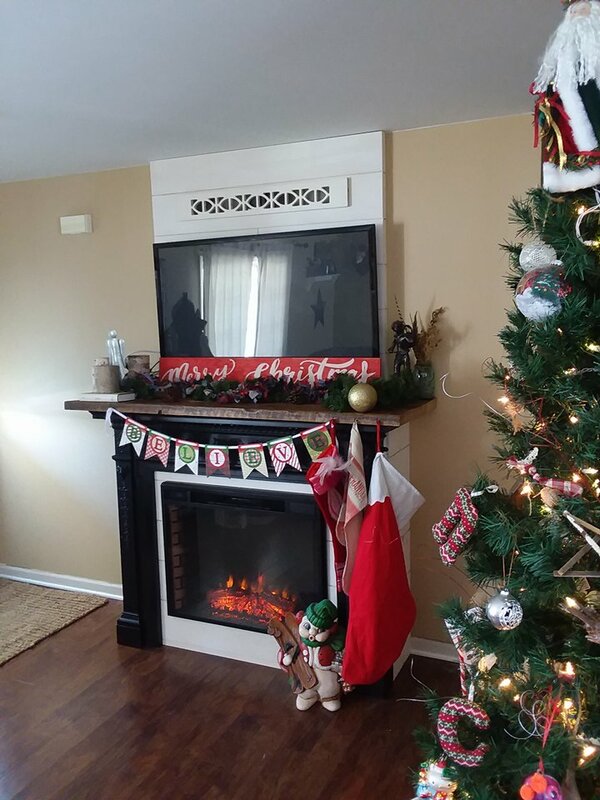 Craig built this electric fireplace into a vintage mantle where there was once an empty wall. He made shiplap and used that and barn wood floor boards to create a faux chimney and mantel. Decorative beams built and installed by Craig, specified by Nicolette in a total remodel project. Decor Courtesy of Caveman&Pip. Pillows by U.P. Pillows, Little Houses sign and Pray Big sign created by Nicolette and Craig. Photography by Charming Moments Photography. Designed and styled by Nicolette. Rustic simplicity and a neutral palette creates a unique farmhouse feel. Decor courtesy of Caveman&Pip retail. Wreath and can with cotton by Reclaim Essentials. Custom side table from up-cycled sewing machine table with walnut top made by Craig Shagena. Photograph by Charming Moments Photgraphy. Custom coffee table made from up-cycled antique trunk with barn wood top made by Craig Shagena. Bunny with magnifying glass decor from Three French Hens. Photograph by Charming Moments Photography. Decor by Caveman&Pip. Vintage Flag mount by Craig. Stools refinished by Craig. Designed and styled by Nicolette. Photograph by Charming Moments Photography. In store display. Decor by Reclaim Essentials, corner chair by Reinvintaged by Amy. Mental Health Center of Florida designed and styled by Nicolette. 12 Rustic Industrial tables custom built by Craig for Molex Transportation and Industrial Solutions, Quality control office. Iron Legs by Iron Garden Structures. 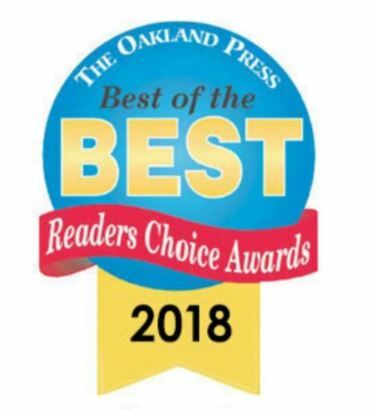 Click the "f" below to see more work, product and customer testimonials on our Facebook page!